When Gloria Dirks was retiring from the joint position of Administrator and Director of Care at Parkwood Mennonite Home in Waterloo, Ont. in 2003, she knew she wanted to use her skills in some way. The call of her congregation, the Waterloo-Kitchener United Mennonite Church, to research the potential of a parish nurse seemed like a good fit. Her 23 years at Parkwood and her own registered nurse status gave her the skills to look into the McMaster Divinity School’s program in Hamilton. The eight-day course “felt like a retreat” as she learned about connecting the spiritual to the mental/emotional and physical aspects of nursing. What she learned there excited her and she brought back a positive report to the congregation. In the fall of 2005 the congregation asked her to show them how this might function by doing it. She’s been paid for 10 hours/week but often works many more hours, and is retiring, again, in December 2012. 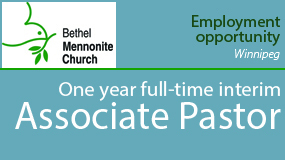 Along the way an extra 5 hours/week were added by Waterloo Mennonite Homes. 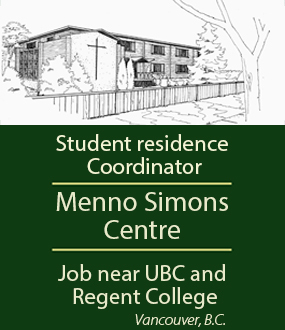 Established by the congregation in the early 1980s on a property adjacent to the church, the apartment building has 46 apartments for seniors, with a focus on low income. Dirks has a significant ministry to both congregational members and others who live in the building, as well as those who attend the weekly “Silver Spoons” seniors’ luncheon at the church. A number of groups—grief, cancer survivors, a wellness circle, weight and exercise—meet after the luncheon on alternating Tuesdays. Other education events take in children, youth and the larger congregation, including work on support for dementia, family violence, blood pressure clinics after church and many others. In this work Dirks depends on the Health and Wellness Committee. Edmund Pries, chair of the Health and Wellness Committee, and one of those who instigated the beginning of this ministry at WKUM, agrees that both her professional standing as a nurse and administrator, as well as her spiritual focus, have made her and this ministry a success. Supported by the Health and Wellness Committee in the congregation, she has a ministry that includes counselling, education and advocacy. Working together with Pastor Nancy Mann they assess the needs of parishioners and decide who should make the first visit and who will do follow-up. Dirks finds that many seniors, having grown up during a time when doctors were held on a pedestal, need help in advocating for their needs, in the office or in the hospital. Families at a distance have emailed to thank her for the work she has done with elderly parents. And a person from the larger community, hearing about the many aspects of WKUM’s ministry, told her, “Your congregation knows how to care for seniors.” From all reports, Gloria Dirks is a central part of that care. As Dirks retires Pries notes that continuing the ministry is an accepted fact. 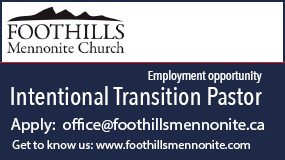 Both the pastor’s and the parish nurse’s job descriptions describe the parish nurse as part of the pastoral team. According to Pries, WKUM’s aging demographic presents “both a need and an opportunity” to minister. But he sees the benefits for youth, children and families around sexuality, nutrition, and especially mental health for all congregations. Though not finalized he expects the number of hours for paid ministry to increase. “Parish nursing has revitalized our congregation,” he says. 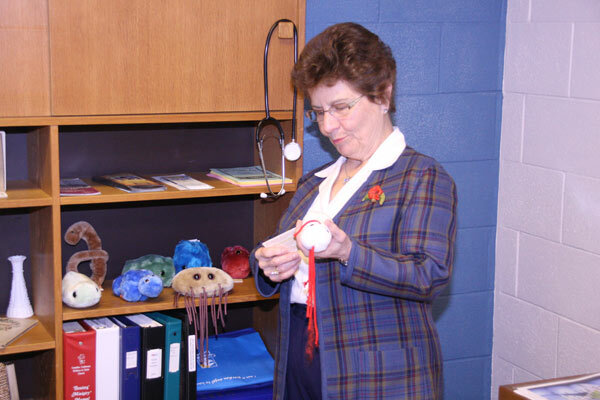 Gloria Dirks, parish nurse at Waterloo-Kitchener United Mennonite Church, holds a plush “microbe” that she uses in children’s education in the congregation.